I did not read the Little House series as a child. I asked my mother why I hadn’t, and she reminded me that I had refused to read anything but fantasy. For some reason, frontier/rural life didn’t appeal to me. Now, at the age of 22, I have finally started reading the Little House series. Less than six months ago I started reading the Anne of Green Gables series. Basically, I am reading as an adult all the works the typical American girl grows up reading. Maybe I’ll read Little Women soon (we’ll see about that…). 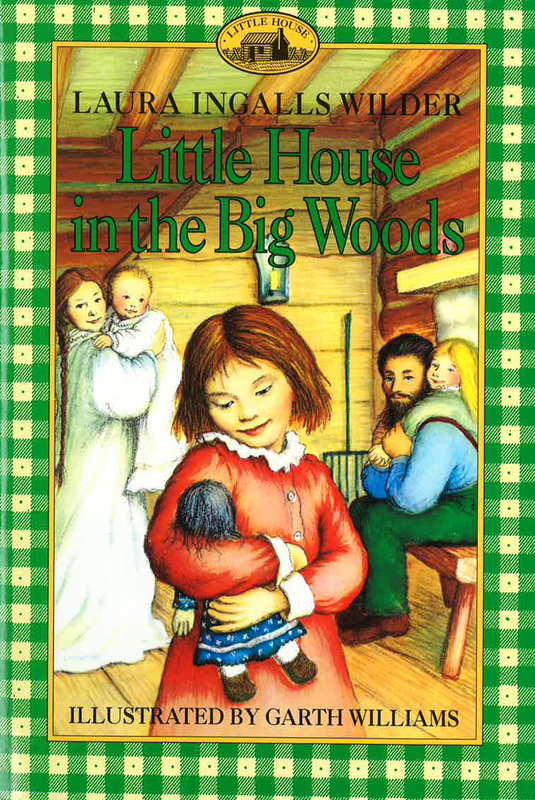 Anyway, I hesitated to read Little House in the Big Woods. I thought it would be overly-sentimental. Boy was I wrong. 1. A gun is a man’s best friend. Always keep a gun ready and loaded in case an animal attacks the family. 2. A pig’s bladder makes a fantastic volleyball. 3. Pig’s tail is delicious. 4. Who needs an American Girl Doll when you can play with a corncob doll instead? 5. The best time to extract maple sap from a maple tree is in the winter. Life on the frontier was harsh, but people found time for entertainment. In Little House in the Big Woods, Ma and Pa work very hard all year long, and so do their children. Pa also has no problem spanking his children when they misbehave. However, I liked how Pa explains everything to Laura. He doesn’t just say “Because I told you so.” He is a great teacher and takes every opportunity to teach his daughters about the world around them. Pa may be generally a tough and rugged man, but he does have a soft spot. He is not afraid to admit to his children that he too misbehaved as a child. The gun may be an extension of his arm, but he doesn’t kill every animal he sees. He refrains from shooting at a buck because of its beauty. Little House in the Big Woods was certainly not a thriller by any stretch of the imagination. Sometimes the book came across as didactic. However, Laura Ingalls Wilder had a very unique childhood, and she described beautifully the challenges and blessings people faced on the frontier. If nothing else, the works have great historical value. I hope to read the rest of the books in the series.